Cactus League Wrestling Live. This event is bringing in some real superstar wrestlers. We've got Chris Masters, the guy who TMZ reported once ripped a tree out of the ground to save his mother from a burning building. There's former NFL player Ron Simmons. There's even Chavo Guerrero, who once shaved his own hair off after a Hair vs. Hair match. Professional wrestling truly is one of the things that, regardless of background, creed or passions, everyone across the world can raise a beer to, spill a beer to, and scream at the top of their lungs to. And if that isn't magic, we don't know what is. 6 to 10 p.m. Saturday, Sept. 15. 3750 E. Irvington Road. $10 GA.
Roller Derby Double Header. 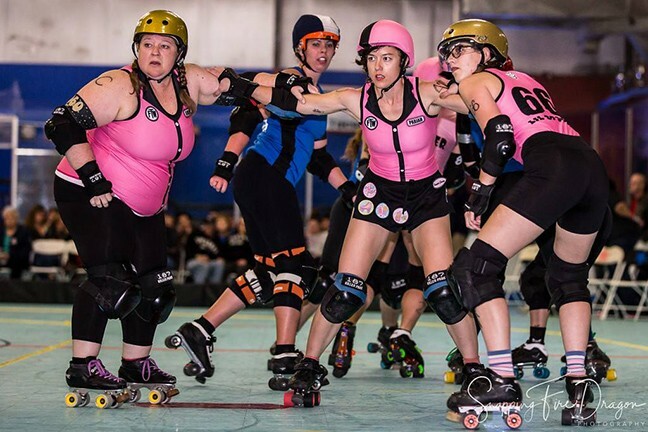 As if roller derby wasn't serious and suspenseful enough, this week we have a Tucson Vs. Tucson game, where the Copper Queens and VICE squad will face off! Then, the Bandoleras will take on the UA's Derby Cats as well. Local superstars Miss Olivia and the Interlopers are providing the live music, and a portion of ticket proceeds will support Tu Nitido. Food and drink are available from the Tucson Indoor Sports Center, and if you're the type of person whose appetite is tied to their suspense levels, you're gonna get hungry. First bout starts at 6:30 p.m., but doors open at 6, on Saturday, Sept. 15. Tucson Indoor Sports Center, 1065 W. Grant Road. $15 at the door. Presale tickets are $10 for adults and $5 for kids 11 to 17. Kids under 10 free with the purchase of an adult ticket, and discounts are available for groups and military. $20 VIP tickets get you right up to the jam line. Ancient Climates. This exhibit at the Tucson Botanical Gardens was developed by the Biosphere 2, and explores four-and-a-half-billion years of the Earth's climatology. Soak up striking images of both earth and space, the chance to peer through a microscope at geological wonders, and plenty of hands-on opportunities to learn about all the facets of our changing climate. They say talking about the weather is boring, but that's only if you're talking about the weather today. With billions of years of material to work with, there's a lot more interesting stuff to talk about. On display from Saturday, Sept. 15 through Feb. 13, 2019. Tucson Botanical Gardens are open from 7:30 a.m. to 4:30 p.m. daily and from 4:30 to 8 p.m. Thursdays and Fridays. 2150 N. Alvernon Way. $15 adults, $13 seniors/students/military, $8 kids 4 to 17, free for kids 3 and under. Blessed Be: Mysticism, Spirituality, and the Occult in Contemporary Art. This MOCA exhibit curated by Ginger Shulick Porcella explores the human impulse to belong by looking at religion, ritual and cult mentality. In particular, it looks at the relationship between "cult" and "culture" (raise your hand if you never noticed how close those two words are to being the same word), and how the museum space, like places of worship, can be a place for sustained contemplation. Themes include the power of language, the sublime, and leaving the physical "here" to explore the universe's greater mysteries. With more than a dozen participating artists, it's an exhibit that will definitely leave you thinking, one way or another. Noon to 5 p.m. Wednesday through Sunday. Tucson Museum of Contemporary Art, 265 S. Church Ave. $5 GA.
Catarina Briscoe: Art of the Giant Saguaro. Catrina Briscoe's career as a photographer started off with food, event and product photography. But the Tucson local couldn't help but notice the beauty in the debris of saguaro cacti, and started Artistic Saguaro Preservation out of her home. She collects and sorts boots, ribs, skeletons, skins and anything else that catches her eye and makes them into art that offers an intimate look at the desert's beauty. Her La Catrinas are works inspired by Dia de los Muertos, and designed to honor individual people. Come see the desert's beauty in a new light! Through September at the Kirk-Bear Canyon Library, 8959 E. Tanque Verde Road. Hours are 10 a.m. to 8 p.m. Monday through Thursday, 10 a.m. to 5 p.m. Fridays, 9 a.m. to 5 p.m. Saturdays and 1 to 5 p.m. Sundays. Free. Joseph Labate–The Sawmill Fire. This exhibit at the Tucson Desert Art Museum contains photography of the aftermath of the 2017 Sawmill Fire southeast of Green Valley. After burning nearly 500,000 acres of tall grass, cacti and succulents, riparian woodland and even juniper, 800 personnel and $4.25 million were able to get it contained. Two months later, UA art professor Joseph Labat headed out to start photographing the damage, and kept coming back. Within weeks, the summer monsoons had worked their magic, and green vegetation was abundant, with recovery rapidly progressing. Labat says this project isn't designed to tell the story of the Sawmill Fire, but to be a reflection on landscape as a whole, and as metaphor. Shows through Sunday, Dec. 9. Museum hours are 10 a.m. to 4 p.m. Wednesday through Sunday, Tucson Desert Art Museum, 7000 E. Tanque Verde Road. $10 adults, $8 seniors, $6 students, $4 youth, free for members. Instagram Photography Workshop. Let's be honest. We've all tried to take a picture for the 'gram only to have it come out not 'gram-worthy. If you're ready to stop being disappointed and start being empowered when it comes to capturing aesthetic photos of your kids, pets, food or self, then check out this workshop! Photographer and designer Alyssa Smith will go over basics like how to set up a shot with good lighting, composition, lines and perspective, and then over some of her favorite editing apps as well. You'll get an opportunity to take some photos in and around the building and work with Alyssa one-on-one to make them 'grammatically correct, so to speak. 1 to 4 p.m. Saturday, Sept. 15. Creative Tribe, 236 S. Scott Ave. $35. Mosaic and Collage Workshop: The Basics. Mosaics have been around for a long time (since about 3,000 years B.C.) and the term "collage" was first coined by Georges Braque and Pablo Picasso. And you know what? Making them has only grown more fun over time. At this library event, they'll provide paper, tile and mixed media for you to use and experiment with. Plus, you're welcome to bring your own materials to share as well. This group meets up every month, so you can bring your project back in October to learn more about everything from design to finishing. 10 to 11:30 a.m. Saturday, Sept. 15. Mission Library, 3770 S. Mission Road. Free. HungerWalk 2018. The Community Food Bank's signature event is back, and it aims to bring together more community members to raise funds and awareness for the fight against hunger than ever before. You'll get some exercise and have some fun while supporting a great cause—and the kids will have a good time too, with plenty of activities available for all ages. Your support will help the food bank get closer to its goal of raising $230,000 to help close the hunger gap. 7 to 11 a.m. Saturday, Sept. 15. Sam Lena Park, 3400 S. Country Club Road. $25 adults, $10 kids. Step for Pets Stair Climb. Let's preface this by noting that in the middle of an Arizona summer, people have been known to perform remarkable feats as long as they are in air-conditioned areas. For example, climbing the 1,306 stairs of the Tucson Convention Center arena. If you like a challenge, and you like animals, this is the event for you, because proceeds go to the Humane Society of Southern Arizona. At the end of this extravaganza, all participants get a Step for Pets medal, and everyone gets complimentary registration to the Fourth Annual Sweat for Pets event in October. 8 a.m. to 1 p.m. Saturday, Sept. 15. Tucson Convention Center, 260 S. Church Ave. $30 adults, $10 kids, $200 athletic groups. Loop the Loop. Happy El Tour season! To get back into the biking groove, just hop onto Pima County's Chuck Huckelberry Loop literally anywhere you want. There's stations all along The Loop from 6:30 to 10:30 a.m. where you can meet El Tour charitable beneficiaries and sponsors, and pick up raffle tickets for a big raffle at the after party. At the after party, enjoy food, drinks, live music and prizes raffled off every 15 minutes! They're raffling off stuff like a mountain bike valued at more than $2,000 and bike valet parking, so it's not to be missed! Make some friends, check out the path, join a charity team for El Tour and talk with experts about gear and training. Ride 6:30 to 10:30 a.m., after party 11 a.m. to 1 p.m. Saturday, Sept. 15. After party is at the Ramada Tucson on The Loop, 777 W. Cushing St. Free. Like Heaven. Full of heart and humor, this play by award-winning playwright and UA professor Elaine Romero tells the story of four women from Independence, Kansas, who learn there's no place like home. Protagonist April dreams of being a blues singer, but she's got a sister who needs her and a friend who is always on her back about being prepared for the afterlife. When she meets a mysterious stranger, April realizes she may have found a way out. Romero is a former William Inge Playwright-in-Residence whose plays have been performed at the Eugene O'Neill Theater Center, the Goodman Theatre and other theaters across the country. Sunday, Sept. 16 through Sunday, Oct. 7, with shows at 7:30 p.m. and 1:30 p.m. on varying days. UA Arizona Repertory Theatre, 1025 N. Olive Road. $17. The Underpants. The Roadrunner Theatre Company is kicking off its 2018-2019 season by kicking off its underpants! Well, not quite. But Steve Martin (yeah, the famous comedian) did adapt this play from a show by German playwright Carl Sternheim that's all about the aftermath of a woman's bloomers falling down in public. Louise and Theo Markes are good people. Conservative people. What will Louise's display of her underthings cost them? Theo worries he'll lose his job. A poet and hypochondriac, infatuated with all that they've seen of Louise (more than they should have), move into the Markes' house. This is a play about the earth-shattering events that follow an act of total public humiliation. Hopefully none of us can relate to it. Friday, Sept. 14 to Sunday, Oct. 7, with shows at 7 p.m. on Fridays, 2 p.m. on Sundays, and either 2 or 7 p.m. on Saturdays. $20 GA, $18 students and seniors, $15 military and starving actors. Tu Nitido's Dueling Pianos Show. Tu Nitido is hosting this show for the third year in a row to help raise funds for grieving children across Southern Arizona. We didn't think it was possible to be so excited for an event that involves grieving children, but this is going to be a great night: Top-notch entertainers will be combining music, comedy and a little bit of audience participation to make magic with two baby grand pianos. Hits like "Don't Stop Believin'", "Jesse's Girl" and, of course, "Sweet Caroline" (bah bah bahhh) will have you leaving big tips for the performers (especially because the more tips you leave, the more likely they are to play the songs you want). And every penny of the proceeds will benefit Tu Nitido. 6 to 9 p.m. Friday, Sept. 14. Gadabout, 3100 N. First Ave. $100. 17th Annual Chile Fest at the Markets. 17th Annual Chile Fest at the Markets. The hottest event of the summer (get it?!) 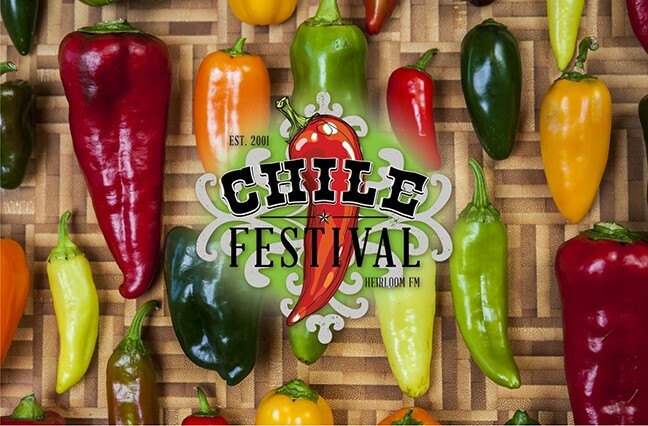 kicked off on Wednesday, but there's still three full days left of Chile-themed specials, fresh roasted chiles and specialties, live music and beer gardens. Let the scent of roasted chiles carry you away to a utopia, filled with a huge array of locally-grown and roasted chile varieties. It's in a new place every day (and on Saturday, there's even two locations), so here's the lowdown: 8 a.m. to noon on Friday, Sept. 14 at Trail Dust Town, 6541 E. Tanque Verde Road. 8 a.m. to noon on Saturday, Sept. 15, at the Oro Valley Farmers Market, 10901 N. Oracle Road (Steam Pump Ranch). 9 a.m. to 3 p.m. on Saturday, Sept. 15, at the Rincon Valley Farmers & Artisans Market, 12500 E. Old Spanish Trail, and 8 a.m. to noon on Sunday, Sept. 16, at the Rillito Farmers Market, 4502 N. First Ave. Artist Boutique Blowout. Head on over to the Whistle Stop Depot, a steel warehouse that was renovated with recycled, and handmade materials, giving the whole place an artsy vibe, for an event that has even more of an artsy vibe. Unique and one-of-a-kind art from local artists is on sale for anywhere from 10 to 90 percent off regular price, and it's all under $100. They've got paintings, jewelry, metal art, crochet, pottery and even art supplies for you to take home and make your own art. Ben's Bells will be there too, and so will the BurgerRito food truck, cocktails and live music. Don't miss vendors like WATTO Distinctive Metal Wear, Red Collar Press and Zinnia Sky Studio. 5 to 9 p.m. Saturday, Sept. 15. Whistle Stop Depot, 127 W. Fifth St. Free. The Nazca Lines Mystery. Join Professor Michael Chriss from the Steward Observatory for this discussion about the enormous petroglyphs in the Nazca Desert in Peru. Viewed from above, the petroglyphs—which are up to 1,200 feet long—depict creatures like birds, fish, llamas, jaguars, monkeys and humans, as well as plant-like shapes. They were made by simply moving around different color rocks, but scientists have varying explanations as to their original purpose. Trust us: an evening of mystery is just what you need, and the Steward Observatory is here to provide it. 7:30 p.m. Monday, Sept. 17. Steward Observatory, 933 N. Cherry Ave., room N210. Free—and after the lecture, use of the telescope is free as well. Mexican Independence Day Fiesta. Whether you're truly celebrating the Cry of Dolores that began the revolt against the Spaniards and the Mexican War of Independence back in 1810, or you just want to enjoy some good food and drink, head over to Barrio Santa Cruz for this celebration. Live music, plenty of food booths, a car show and folkloric dancers will all be on hand, as will activities for the kids. Councilwoman Regina Romero and the Mexican Consulate will be there, and so should you! Noon to 6 p.m. Saturday, Sept. 15. Ormbsby Park, 899 W. 24th St. Free.